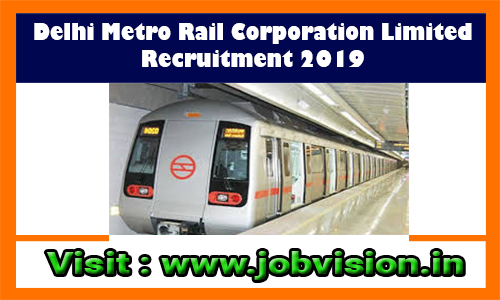 DMRC Recruitment 2019 - DMRC invites applications for recruitment of 11 Assistant Manager / Manager (Bridge), Supervisor / Bridge (SE/Bridge), Maintainer / Bridge Posts. The applicants are requested to Download Application Form through Official Website www.delhimetrorail.com. The last date for the receipt of application along with enclosures is 05 Apr 2019. Interested candidates are requested to peruse the advertisement regarding the process of Examinations and Interview, Eligibility Criteria, Application Fee, How to Apply, Pattern of Examination, Syllabus, Question Paper, Admit Date, Exam Date, Result Date etc,. Refer thoroughly before applying. DMRC may follow the following process to select the candidates. Eligible candidates are advised to Download Official Notification & Application Form at official website to www.delhimetrorail.com. Fill your Academic Qualification & Other Related Information as per the instructions. HardCopies of the signed application along with photocopies of (i) ID proof (ii) Proof of Date of Birth (iii) Educational Certificates: Mark-Sheets/Degree Certificate (iv) Caste and attested copies of relevant documents mentioned in the application should be addressed to “Chief General Manager (HR) Delhi Metro Rail Corporation Ltd Metro Bhawan, Fire Brigade Lane, Barakhamba Road New Delhi ” super-scribing the envelope with “Application for the post of ______” so as to reach on or before 05 Apr 2019.